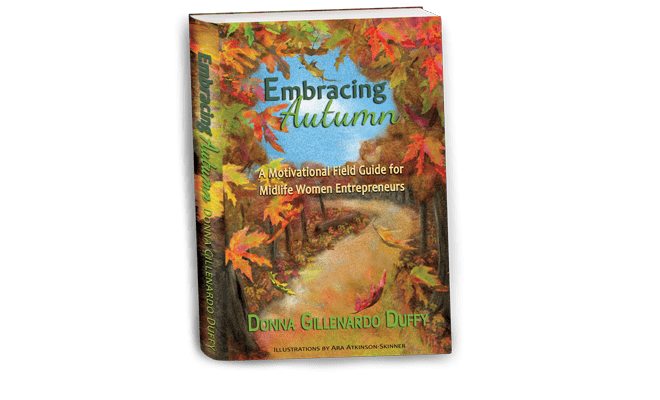 Calling all midlife women entrepreners, autumn sages, who in this vibrant season of your lives, have something extraordinary to bring and share with the world__this is for you! From our birth, we have been equipped with everything needed for our lives. As we grow and evolve, we’re in a process of discovery, opening our gifts along the way. Yet in the busyness of life, that discovery gets forgotten. We neglect the gifts we’ve been given to make an impact and influence in the world. As women of autumn, we have this phenomenal opportunity to connect with ourselves in a way that we have not been able until now. We’ve come through our early adult years and are coming into this open space where we can plumb the depths of our gifts and strengths like never before. In the book, Die Empty, Todd Henry encourages us to not die with the work and gifts left untapped in us, but to embrace and use the gifts we’ve been given, to bring our goals and dreams to life now. We may have believed we had forever, but within this season of autumn, we know not to wait forever, or even until tomorrow. We only really have today. It behooves us to make the most of these years so that we can make our mark on the world. As entrepreneurs, we are on an adventure of continually unveiling our ability to bring our products and services to those who need them and with whom we choose to work. First, we must begin with generosity and graciousness, filled with gratitude for the gifts we have received. Investing in ourselves means having an ongoing, unswerving commitment to becoming the very best we can be. As mid-life women entrepreneurs, we know full well that following our passion will not only take us on a path to profit and position our businesses for success, but it will help us fulfill our purpose so we can make a difference in the world. Each beautiful day of autumn comes with changes that are deepening our sense of confidence, reminding us that those gifts are really for us after all. Tearing them open and discovering them is not as overwhelming as it once was. We should be encouraged and filled with joy, knowing our gifts are bringing significant change and transformation to us and those we serve. Excerpt from Chapter 1__Open Every Gift. Receive the FREE full chapter plus your complimentary Embracing Autumn Survival Kit by signing up to join our community of Autumn Sages. •Why your midlife entrepreneurial journey is an unprecedented time of courage, growth and reinvention. •How your years of wisdom, strength, insight and experience perfectly positon you for success in life and business. •How creating your own manifesto helps you on your quest toward transformation & change in yourself and the world around you. •How resolve and tenacity keep you steadfast as you pursue your vision and achieve your dreams. •Why collaboration, partnership and sisterhood bonds create greater abundance and opportunity. Donna cuts straight to the heart of women in midlife who are impacting the world with their ideas, insight and innovation. Each chapter is part of a manifesto that has guided Donna on her path as a business owner and will embolden others to forge ahead and blaze trails for others to follow. Her no-nonsense style will engage you and remind you that this season of your life is to be embarked upon with the greatest of passion and purpose. Your years and experiences have equipped you. Now it’s time to step in and embrace this season with grace, poise, resilience and confidence. Donna Duffy is a dynamic entrepreneur, visionary, CEO/Founder of 3E Marketing Solutions and voted “2016 John Maxwell Top 30 Leadership Award”. Her talent for creative inspiration empowers, motivates and educates others. 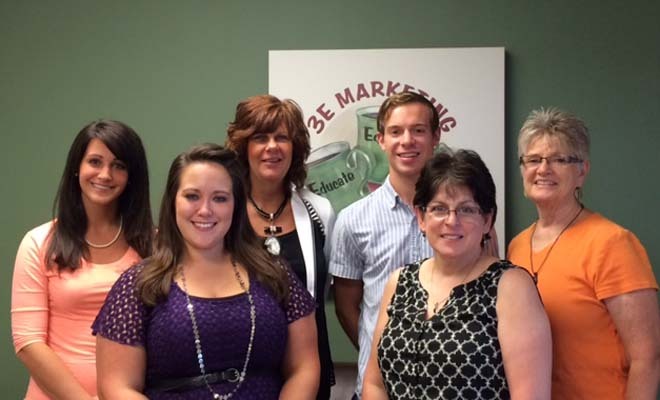 Donna’s mission is to educate, equip and engage small business owners and organizations with affordable marketing strategies and solutions through workshops, coaching/consulting, implementation and events. She embraces grassroots methodology, getting down in the trenches to meet business owners where they are and gains her greatest pleasure from the development of others.